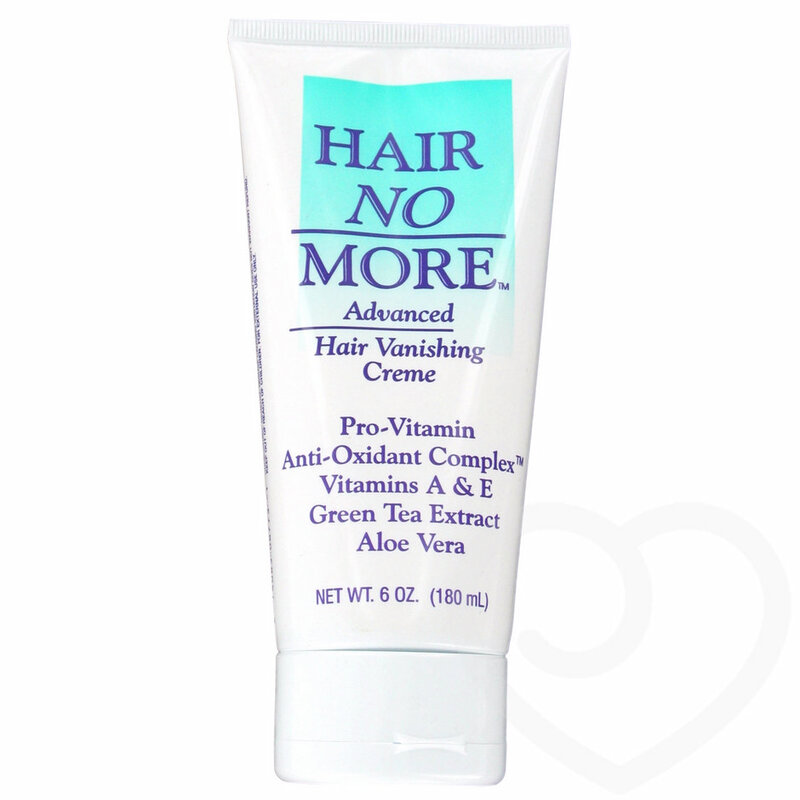 Hair No More is an advanced hair vanishing cream which painlessly eliminates unwanted body and facial hair. It gently removes the hair from the follicle bulb, leaving the skin baby soft and silky smooth. Hair No More uses a protective natural barrier and pro-vitamin, antioxidant complex to protect your skin from in-grown hairs. Contains Vitamins A and E, green tea, aloe vera and natural plant extracts to keep your skin looking and feeling young. Unwanted hair will remove easily with proper timing, leaving the pores clean and open for the application of the inhibiting spray or inhibiting gel. We recommend using Hair No More inhibitors to slow down hair growth. Suitable for the bikini line, but not for vaginal, genital or perineal areas. Ingredients: De-ionised water, calcium hydroxide, calcium thyioglycolate, epilbium angustifolium extract, cetearryl alcohol, pro-vitamin, antioxidant complex (vitamins A & E, pro-vitamin B-5, green tea and lemon fruit extracts), ceteareth-20, theobroma cacao seed butter, willow bark,lithium hydroxide, sodium lauryl sulfate, anthemis noblis flower extract, chamomilla recutita matricaria flower extract, propylene glycol, silica, EDTA, aloe barbadensis leaf juice, simethicone, simmondsia chinensis seed oil, tocopheyeryl acetate, calendula officinalis flower extract. Simply put, this cream works. It works well. Apply some cream, twirl your thumbs for a few minutes and remove those unwanted hairs. The downside to this tale is that the product smells awful, thanks to the green tea extract. Whilst it is an effective way to get rid of your body hair you will be sat waiting for the magic to happen whilst smelling of a hairy, rotting tea bag. Even worse is that the smell lingers on your skin afterwards too, so you smell of a hairless rotting teabag instead! This flaw is easily remedied with a nice warm shower however, which may be a good idea if you have used it on a large patch of hair and want to get rid of them easily. I haven't tried other products like this so I wouldn't be able to say if it was better or worse at the job. For the simple job of removing hair I'd recommend it, the smell is awful but bearable and is really the only downside to the product I have yet to encounter.